You found the love of your life, and now you want to give your sweetheart a totally personal gift that means so much. 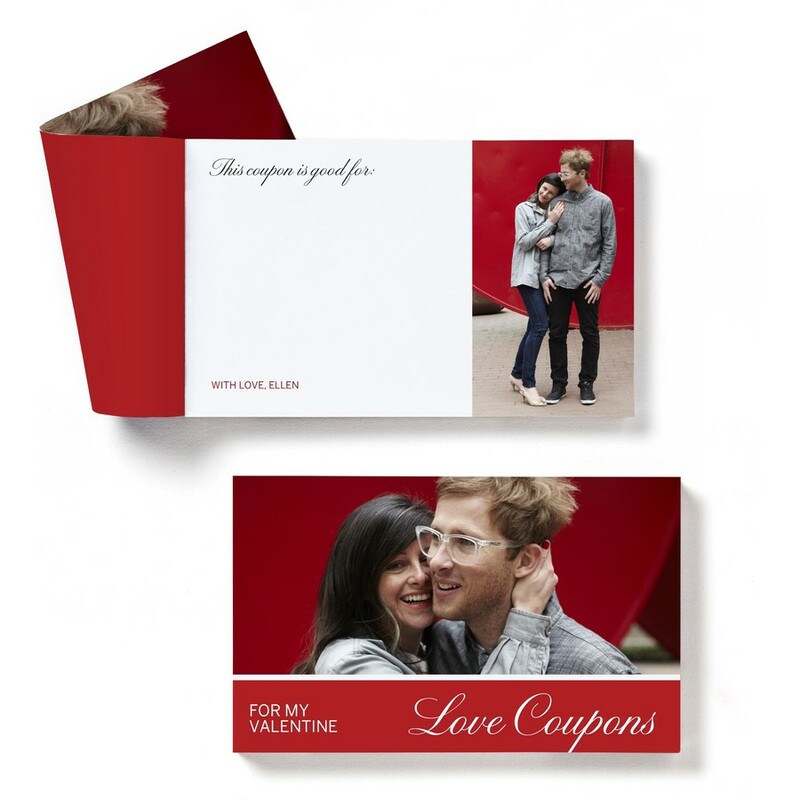 Instead of the same old card, give them something truly unique with our custom love coupons notepad. Our notepad contains 50 pages of love coupons perfect as a special gift itself or as an add-on gift to celebrate a special day. Love coupons are ideal for Valentine's Day, anniversaries, birthdays or just because. Choose two photos to grace the pages and customize your text to create a love coupons notepad that symbolizes the love you and your sweetheart share. Love coupons measure 6.5 inches by 4 inches and are printed on ultra white premium paper. Use your imagination to come up with sweet coupon gifts, such as a "One dinner at our favorite restaurant," or, "I'll take a day off for a day trip - your choice." coupon. The options are up to you. Playfully pen a coupon of your choice for a fun and romantic gift your sweetheart will love.